Ever since I've been diagnosed with hypothyroidism, I've learned as much as possible about this terrible disease. The fact that it can't actually be cured (and be weary of anyone telling you otherwise and trying to sell you some diet ebook or another) means that I have to get the best treatment available for hypothyroidism in order to have a good - even great - quality of life, while taking the pills every single day of my life. It is amazing how much misinformation and disinformation there is on the web on what is truly the right treatment for helping patients suffering from hypothyroidism. I've seen (and even bought early on) various ebooks on 'natural treatments for curing hypothyroidism'. Let me just say that if you can, stay away from those: they are nothing more than lifted free articles from the web. So what does really work for a proper and long term treatment? Before we discuss the best treatment for hypothyroidism, let's go back for a second in time to when the first option became available to people - back to 1891 when the first successful treatment of such a patient happened using sheep thyroid extract in form of subcutaneous injections. That very patient managed to live another 30 years on these injections, finally passing away from a totally unrelated reason. It took less than a year for doctors to start administering oral thyroid extract and to notice that this was equally successful as the injections. Since then for quite a few years natural thyroid (called NDT - natural dessicated thryroid) extracted from the thyroid of pigs has been the standard practice of helping people with hypothyroidism and with great success. In 1914 chemistry was advanced enough that the particular thyroid hormone was identified and isolated, so that a synthetic thyroid could be created in labs - which eventually became streamline and it's the standard practice of treating hypothyroidism even today. The main thyroid pills are called synthetic T4, under the various brand names, such as L-thyroxin, Euthyrox, Synthoid, etc. When a person is diagnosed with hypothyroidism, the mainstream treatment, the traditional approach is with synthetic T4, depending on what the brand name is in their country. 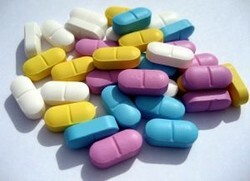 When I started on the pills, what I took was called Euthyrox. For many people this treatment works very well and they can live a normal life as long as they take their pill every morning about an hour before breakfast (some take it in the evening, but the morning dosage seems to be the most widely used). Unfortunately not everyone can absorb the synthetic T4 (which has the role of creating and storing the active T3 hormone which the body actually needs), so despite them taking the pills regularly, the symptoms hardly improve - if at all, even if new blood tests show that everything seems to be 'ok'. While there are lots of people out there who really do well on synthetic T4, for many this is can cause various side effects that is good to be aware of. Some people develop allergic reactions to it such as skin rashes, acne, difficulty breathing, heart palpitations, red face, mild hair loss (although hair loss is usually associated with hypothyroidism, so it might not be from taking Levo at all), and a few others. If you experience any of these side effects, definitely mention them to your doctor so he can adjust the dose or maybe combine it with T3 or change it to NDT. Is Synthroid or Levoxyl the Best Treatment for Hypothyroidism? When the treatment with T4 fails and the endocrinologist is a good doctor who knows to go to the next level, he will look into administering a mix of synthetic T4 and T3. This way the absorption of T3 will be faster in the cells, or if there is no absorption at all, the T3 will compensate for it, and the person almost immediately starts to feel better. Actually lots of people are quite happy with the mix of T3 and T3 combined and when this works, it will become the standard treatment for their own hypothyroidism for the rest of their lives. The best known brand name for T3 is Cytomel, however it can be found under other names in various countries as well. Because the action of T3 is rather short lived (the effects die out in a few hours) usually the way to take these pills is by taking T4 early in the morning before breakfast, and T3 twice daily (or as often as recommended by the doctor) in smaller doses. This allows for optimizing the T4 and T3 levels n the body. Once the treatment is started, about 6-8 weeks after another blood test for the TSH, FT3 and FT4 has to be done so that the free levels are monitored. The FT3 and FT4 levels should be close to the upper range. Regular blood tests need to be done to closely monitor the free levels at all times. If You Suffer From Hypothyroidism What Is Your Treatment? NDT all the way, no synthetic stuff for me! This is where I am right now. 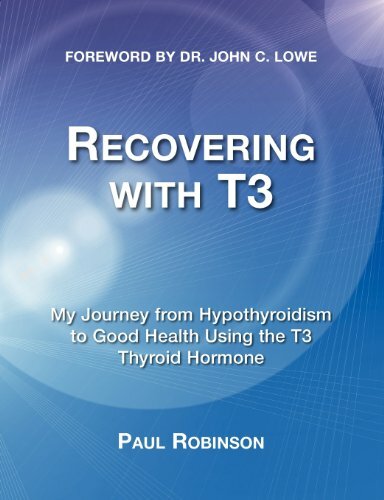 Initially the doctor started me on 50 mcg of synthetic T4 (Euthyrox), however after almost 4 months of feeling not even a bit better, I researched about the best treatments for hypothyroidism, and one other option that I saw many people were happy with was using only synthetic T3, the active hormone that the body actually needs. This is because for many people the conversion from T4 to T3 doesn't happen or it's very slow, so taking T3 directly bypasses the entire conversion issue. Some of the brands synthetic T3 is known over the world are: Cytomel. Cynomel, Linomel, Tiromel, and also the generic T3 (it's the one I'm also taking, shown in the picture here). Personally for me taking T3 helped a lot. I don't say I'm 100% well, I still have times of slight brain fog (watching a movie and not remembering the name of a well known actor is no fun! ), I still have now and then various symptoms, however I do want to stay at the lowest safe level of T3 that I can while feeling as best as I can. Taking T3 only has its dangers as well. It's very easy to over-medicate (yep, been through it and it was not fun). Some people even take it to lose weight or for body building - which I find wrong. They take a huge amount of pills, while for real patients who have hypothyroidism problems the dosage is usually very small. The other problem with taking T3 only is that the blood results from now on will not be accurate anymore - if at all, so you won't be able to rely on them going forward. You will really have to rely on your own signs and symptoms of hypothyroidism to know how you're doing on this pill. In fact, at this point using the TSH blood tests as measurements can be quite dangerous for the person because the blood tests can not show any activity that happens at the cellular level, where the T3 is in fact needed. Another problem is the fact that taking T3 is not all that easy. Because of its short action, it needs to be taken several times (at least twice) a day. Taking synthetic T4 is very easy: you only take a pill when you wake up. Taking T3 can be complicated by the fact that people might forget to take a pill now and then. Not good. So before starting on T3 only, make sure that you've really tried for at few months at least to take a combination of T4 and T3, because that is much, much easier to manage overall. Personally I haven't tried natural dessicated thyroid, but I know of lots of people for whom this is the best treatment for hypothyroidism ever and I totally understand the reason. What keeps me from actually going for it (although I do have a bottle of NDT at home, which I would have started to take if I hadn't found T3 here locally at the pharmacy) is that it's not without its own risks as well. The good thing about natural dessicated thyroid is that for many it works where nothing else did. Usually NDT is made of an extract of porcine thyroid and it contains not only T4 and T3, but also T2, T1 and calcitonin as well, all of which the body actually needs for proper function. A healthy thyroid gives all of the above. When the thyroid slows down in its function and you need to take pills, you will get the most important ones T4 (and/or T3). But many doctors forget that T2, T1 and cacitonin are also crucial for the body and at the current level of medicine, the only one that can give these is natural dessicated thyroid. First of all, it's extremely difficult to obtain in most countries (don't ask me how I know). Doctors by default don't prescribe it - and you'll have to really look long and hard for one endocrinologist who actually listens to you and lets you go the natural NDT route. If you found him, keep him because he is golden! Another problem is that doctors fear that NDT is not accurate because thyroid from pigs will not give you the right amount of thyroid that a human body needs. I won't comment on this, because I haven't personally taken NDT, but I know lots of people who do for years and they're like reborn all over again. Their symptoms are all gone. Finally, if you manage to get it (and I won't name sources, I don't want them to disappear) it's not cheap. For real. And probably you will have to incur the costs, as most doctors will not prescribe it. So there you have it. The good, bad and the ugly of deciding on taking NDT as the best treatment for hypothyroidism. Is Natural Dessicated Thyroid A Safe Or A Dangerous Treatment for Hypothyroidism? I feel I can't end this page without another warning against 'free natural hypothyroidism treatments' that are sold in ebooks from shady places. You have to understand that if indeed your problem is hypothyroidism, there is no cure for it, period. There is treatment, however, that will last for a lifetime and that treatment allows us to live a very normal life as long as we follow the right medical protocol. Of course you should follow a right diet, make sure you have all the blood work that is needed for eliminating any vitamin or nutrient deficiencies (my blood tests showed that I have severe B12 and light D3 deficiency) so I'm supplementing with these pills until at least my levels go back up to normal. Also make sure you address adrenal fatigue because there is a strong connection between hypothyroidism and adrenal deficiency and in fact before starting a serious treatment for hypothyroidism you need to get the adrenal levels in check. Oh wow Katie, that's an amazing story. They also found 2 small nodules on my right side of the thyroid and they're keeping an eye on it (ultrasound every 3 months or so). Two doctors wanted to take it out right away (my entire thyroid), so I went to a third opinion. I said if he will say the same, I will do it. He said it's better to observe it first rather than do something drastic, that the doctors from today only want to cut and take it out and think twice later. I'm also juicing, but I kind of neglected it, so I'll have start again. I usually do carrot juice (sometimes with parsley added). I'd love to see some of your juicing recipes, so if you put them up on your pages, just let me know! So glad I saw this, oh my where do I begin? I've been treated for hyperthyroidism for the majority of my life, it's like going warp speed being accused of being anorexic and on and on. BUT 1 year and five months ago a routine ultra sound, due to hyperthyroidism and a couple of bad nodules treated with radiation, three spots were found. I then had a biopsy which lead to my choosing to have second and to make a long story short lead me to the operating table. I was very scared to have my entire thyroid removed as I knew I would face hypothyroidism as well as healing from thyroid cancer. Talk about an about face, from one extreme to the other, oh MY! I can empathize with you. I am now among those suffering with hypothyroidism. I am currently taking 100 Mcg Levothyroxine 30 minutes before I wake (per alarm) I shut my eyes for 30 minutes get up and face the day I then take 30,000 units of vitamin D as I am vitamin D deficient. The worse of my symptoms is the aches and pains, my joints and well I have zero appetite and sometimes less energy. My last ultrasound found two small spots which we are keeping an eye on. The good news for you is the number!!! Once I got to the 100 mark I began to feel markedly better. Hopefully you will feel the same. I would love to share my best tool juicing. I juice, like in Joe Cross type juicing, I've never felt better since, I have so much energy, my skin and hair is amazing and my mental clarity has vastly improved. I would be happy to send you some recipes if you want or my links to articles I'm currently working on that will be published as Zujava. Anyway this is a great article and while I was hesitant to come out with my story it is good therapy and we need to reach out to one another. Hypothyroidism is a painful disorder that completely takes you hostage turning your life inside out. Helping, yes. Curing, sadly not often. In certain seldom cases a thyroid can correct itself if the problem is not serious. Sometimes, for example, symptoms of hypothyroidism occur because of iodine defficiency. As soon as that is treated, the symptoms also recede or totally disappear. But true hypothyroidism cannot be cured, at least not right now. The thyroid slows down in its function, it becomes underactive so supplementing with thyroid hormones in forms of pills becomes a long life exercise, sadly. I realize this is a serious condition, but I have also seen Andrea Beaman on TV on cooking shows saying she had cured her thyroid disease with food. Now, I don't know exactly what she had, but I just thought I'd mention it. Even if the recipes she used won't cure hypothyroidism, maybe they could help?